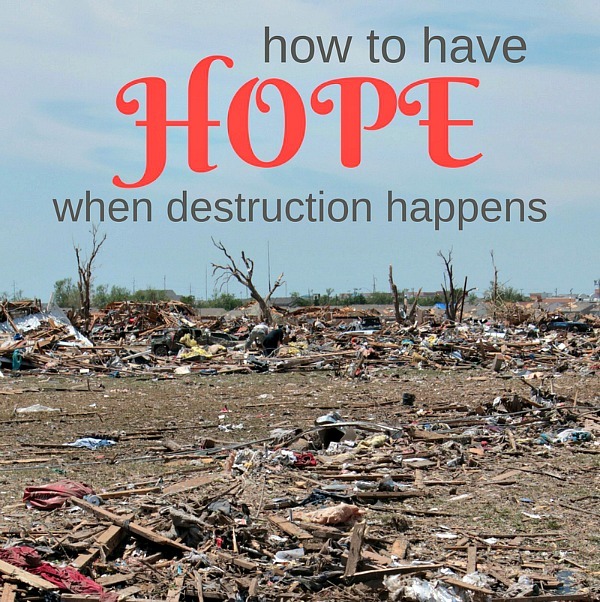 How Can You Have Hope When You Lose Home & Everything In Disaster? As we prepared for Hurricane Irma to hit our area, memories of losing our home and everything we owned came back to my mind. It was a time that we saw God show up in amazing ways. I feel like I should share it now in hopes that it helps at least one person. Here’s our story….. It was a cold December morning in West Georgia as I sipped my coffee and looked out my father-in-law’s window. Everyone else was still sleeping. While staring at Lake Blackshear in his backyard, I heard the phone ring. When I heard my father-in-law call out my husband’s name in a serious tone, a chill went down my spine. My Daddy H had been battling an extended, life-threatening sickness and I feared that the phone call was about him. “Please, Lord, don’t take him yet,” I kept praying. We were hours away from home and the thought of losing him was too much. Baby pictures, special “firsts,” our wedding pictures, locks of baby hair. Oh, and the Christmas toys they’d just opened on Christmas morning that we’d left tucked under the Christmas tree. BUT, the emotion didn’t come. Instead, I had an unexplainable peace from head to toe as if a warm blanket had been draped around me. Both in a daze, we woke the kids and gathered our things to hurriedly head home. Home. Whatever would be left of it when we got there, that is! How can you have hope in this situation? I only had one question. “Where will we sleep….. tonight?” He just shook his head. More silence. The kids (nine-year-old boy and two-year-old girl) were a little groggy in the backseat but started to have questions. I felt an unbelievable strength from the Lord in those moments. I turned around with a smile and said, “Our house has burned but God is going to take care of us. It’s going to be alright.” And I meant it! We saw the fire trucks blocking our tiny road the moment we turned off of main street. We had to park and walk up to our place. All that remained was the foundation of bricks and the cement of the front porch. The firemen said it had burned in seven minutes flat. The only thing visible were mounds of black ashes and coils of what had been our couch. The only structure standing inside was the charred refrigerator. Again, the strength of the Lord was all over us. The hubs and I stood speechless – just staring at the smoke rising from the black mounds as people buzzed about us. Others were in the street waiting to talk to us – with looks of pity on their faces. Without the hope of Christ within me, I would have been a heap on the ground. Instead, I was able to greet and love on neighbors and friends that kept walking up to check on us. That’s the hand of God, Y’all. How can you have hope? In the same way that we are witnessing our nation coming together after the devastation of Hurricane Harvey and Irma, we can find hope in the love of people around us. One of our friends, Dari, walked up quietly and asked if he could take our son to town. Y’all. This friend took him to Walmart in the next town and bought him everything a little boy would ever need. Our son came home with necessities from cool toothbrushes and PJs to fun stuff like super hero underwear and toys. I still get choked up when I think about it. As we were leaving the scene, a neighbor named Mark stopped and jumped out of his truck. He said that his family had heard about our tragedy and couldn’t bear the thought of our kids not having their Christmas toys. He pulled out two HUGE trash bags bursting with toys and stuffed animals. My friend Pam bought me clothes and boots. Cindy bought me ironing stuff. Beverly brought me Tupperware. Linda brought me her dishes. I wish I could list every person. Our church family, friends, and community literally took care of our every need! Make your relationship with Christ #1 priority! Don’t have one? No hope & peace without it. Surround yourself with encouraging friends! Those who will laugh and cry with you. Read the scriptures! Don’t enjoy it? Ask God to give you desire & understanding. Train yourself to find the rainbow. It takes practice, honey. Share your hope with others. There’s always someone in worse circumstances. If you are still reading, bless your heart! Literally every item we owned was charred by fire in our home except one item, but I’ll describe that in one of the next posts since this one is so lengthy. Believe me, you don’t want to miss that MIRACULOUS display of God’s power! For now, I hope you enjoyed my answer to the question of how can you have hope and how to recognize it when God is showing off! I’d love it if you’d share this message with others. Wow, you are such an awesome witness for God and what a testimony. 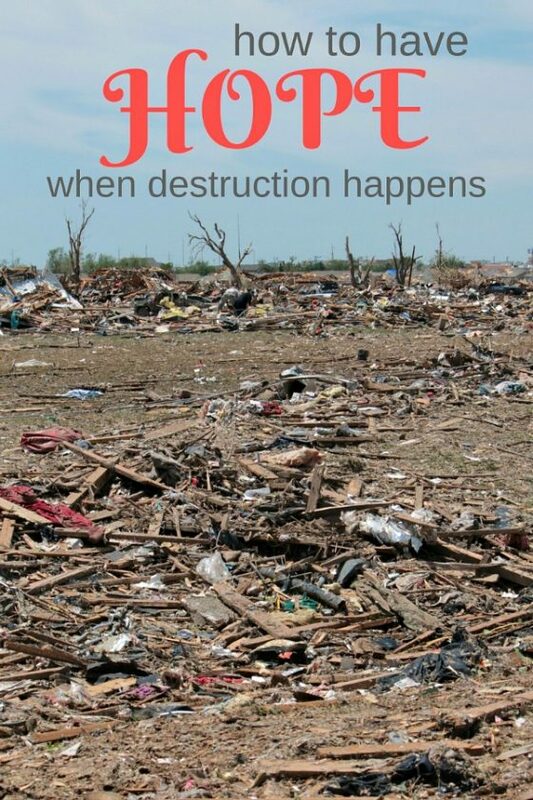 Losing your home had to be so horrible, but in the midst of that storm God was there using your friends and others to minister to y’alls needs, It definitely was God working everything out before you could even ask. Thank you so much for sharing your heart. I can’t imagine what those people all over Texas, Florida, California are feeling losing their homes, but I am hoping and praying that they too have “Hope in God”. He is our strength and our help. Bless you. Thank you so much, Meloni! You encourage me so much with your sweet comments and voice of hope! I’m tickled that you are here. Shan, that had to be so, so, so difficult! However, it is amazing to see how God used it to stretch and strengthen you and your family. Thanks for sharing your heart in this post! Love you! We lost almost everything in a fire 3 years ago, too. Close friends and family seemed paralyzed to do anything, but the blogging community and even perfect strangers stepped up in a big way. That was an experience I hope to never repeat, but it’s crazy to look back and see how much better our lives are 3 years later.